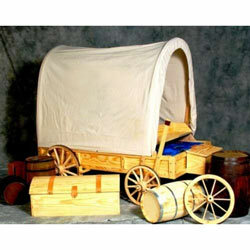 Unique Child Bed and Where Can You Find It? Kids and Bedtime never seem to get along. Why are these highly energetic bundles of joy, so hard to send to Dreamland? "I never want to go to bed. I found these Awesome Child Bed themes for you to enjoy this week. 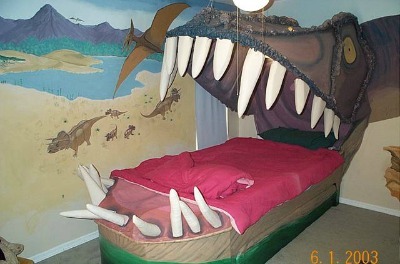 I don't guarantee that they will get your child to sleep anytime soon, but at least they will get them to stay in bed!! You can find many princess beds online and in stores, but this one quite takes our breath away. 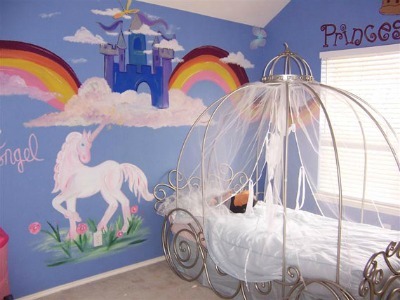 The murals on the wall and the colors of the room make this child bed and room fit for a Princess. If you are willing to splurge, this Cinderella Carriage Bed will make her room extra special. Okay, so this is rather out of the ordinary. Besides you will probably be worried to death about whether your child will fall and hurt himself. 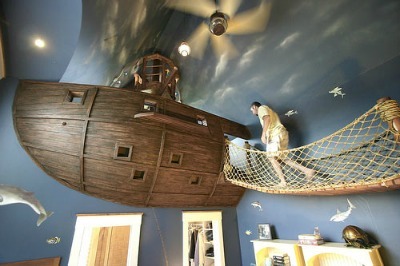 You can still give him the Pirate Ship Toddler Bed without losing your peace of mind. I'm not sure I would want to be sandwiched quite so literally. But I am sure your little one will get quite a kick out of it. 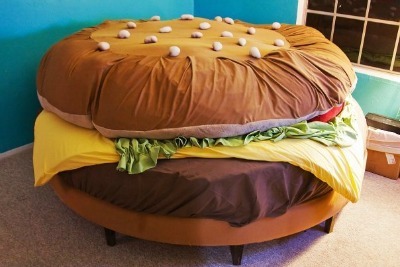 Whoever designed this bed deserves an award, don't you agree? 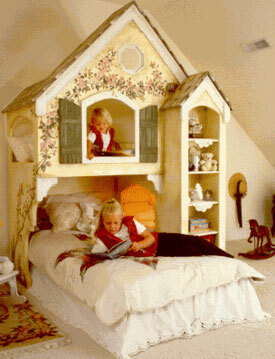 This child bed is so creative, your kid and his friends could spend hours playing here. So if you don't want a housefull of little boys roaring around your house, you might want to settle for a more sedate Dinosaur Headboard instead. I found what I call the "I'm Digging It! 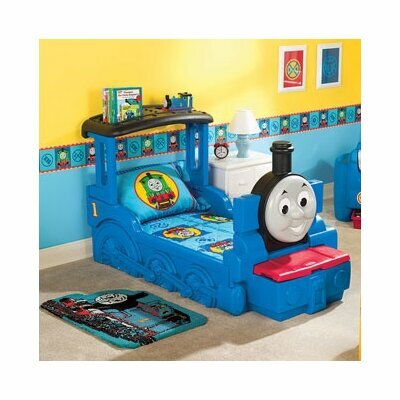 Child Bed" and the reason why I so love this, is because my son wants this exact bed in his room. But search as I might, I couldn't find it being sold anywhere online. Well, I'm not one to give up so easily..so I kept on tracking it until I found it. It is NOT available in the US (not that I know of anyways), but I found it on Amazon UK. If you live in the UK, let me just say....LUCKY YOU!! If you are also reading my blog (I just started one called Peachy Groovy Rooms), you will have read my post to help save the African Elephants from poachers. 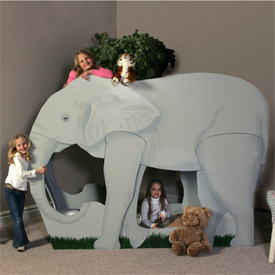 This amazing elephant bunk bed is sure to make your little one s fall in love with these gentle creatures. 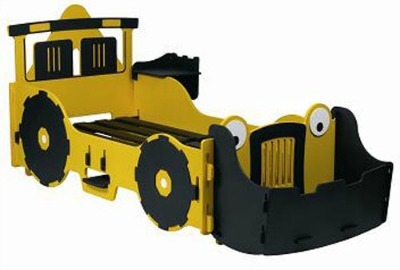 Know someone who needs Inspiration for Decorating their Kids Rooms? No one will ever have to pay for a subscription so send a friend a copy of this ezine issue. Speaking of which, did you get this issue forwarded to you? If so, and you want more, then visit our ezine subscription page for more information and get your hands on our freebies.